The holidays will soon be upon us and Frenchtown invites visitors to experience the magic of a small town holiday season. Art openings, author visits and other events will take place throughout the month of November leading up to Small Business Saturday, Nov. 24th and Santa’s official visit on Dec. 1st. 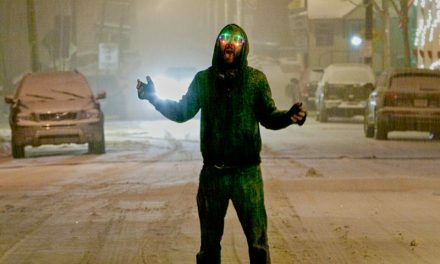 ArtYard, Frenchtown’s incubator of creativity and multimedia arts center, will host a variety of performances and workshops throughout the month including paper folding, songwriting and more. Visit artyard.org for a full schedule of events. At Yoga Loka you can ease into the season with Join David Pittenger’s two-session workshop entitled “Meditation for the Holidays.” Learn meditation tools for being at peace during stressful times. 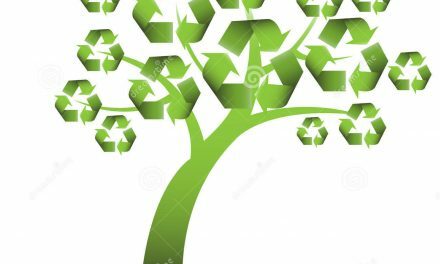 The workshops will be Nov. 10th and 17th, 10:45 AM to 12:15 PM. Connie Hull leads another 5 week session of the workshop series entitled “S.A.G.E. Yoga”. This adaptive class is open to beginner and experienced students ages 65+, bringing greater range of motion, vitality, and energy. Begins Tuesday, November 13th; 12-1pm. More information and registration at www.yoga-loka.com/workshops.html. Author (and Del Val alumni) Jodi Kendall will be at The Book Garden on Sunday, Nov., 18th at noon. She will be reading from her new middle grade novel, Dog Days in The City. And yes, there are puppies involved! Secret Garden Montessori welcomes parents to an Open House on Wednesday, November 28th from 9:30am to 11:00am. Learn the benefits of the Montessori approach and tour the facilities. Space is limited. Please call to register 908-628-9639. Dec. 5th at 7pm The Lovin Oven will host a free seminar, Empower the Female Investor. Enjoy a meal and meet financial advisor Lacy Phelps of Edward Jones who will discuss ideas for the unique challenges and opportunities specific to the female investor. Dinner will be provided but space is limited. Call 908-782-7554 by November 30th to RSVP. The Spinnery welcomes knitters every Thursday evening for the weekly Knit & Chat from 6pm-9pm. Email spinnery@aol.com for details and visit www.spinnery.net to see all upcoming events. The SFA Gallery will host an opening reception for artists’ Lauren Kindle and Ellen Sapienza’s new show “Here in This World” on Dec. 1st from 5-7pm. 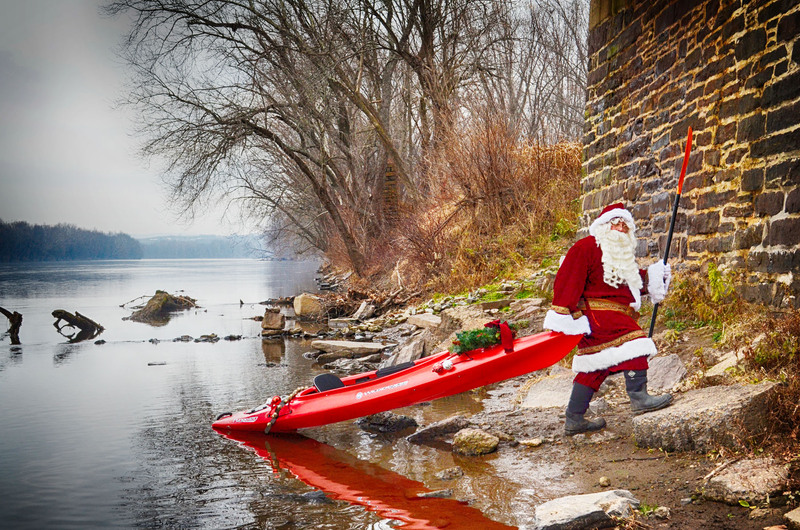 Santa will make his annual visit earlier that day, arriving in traditional Frenchtown style – by boat! 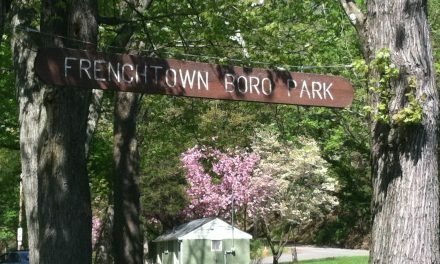 The festivities start at 2pm on Saturday, Dec. 1st in Sunbeam Lenape Park – the perfect spot for a selfie with Santa with the Frenchtown Bridge and Delaware River as backdrops. Join the Delaware Valley Regional High School Choir and serenade friends around town. Enjoy crafts, hot chocolate and snacks and our Annual Tree Lighting at 5:45pm. Frenchtown’s holiday festivities are hosted by the Frenchtown Business & Professional Association. 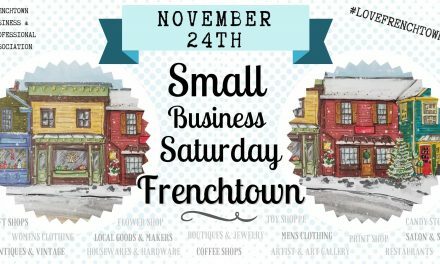 Visit LoveFrenchtown on Facebook or lovefrenchtown.org to discover all the great things happening in Frenchtown during the holiday season and throughout the year.